Find Sunday School Lessons - Teach kids of all ages with these easy to follow bible stories and lessons. 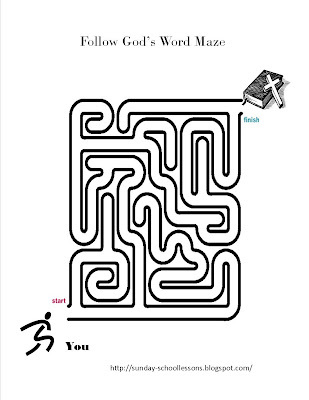 Find Sunday School Coloring Pages - Print these FREE coloring pages to use with your lessons or as time fillers. 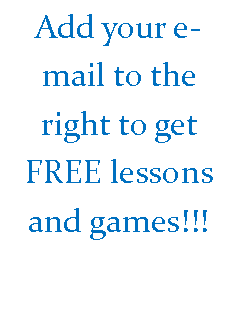 Find Sunday School Games - Teach kids about the bible and help them learn their bible verses with these easy to follow bible games. 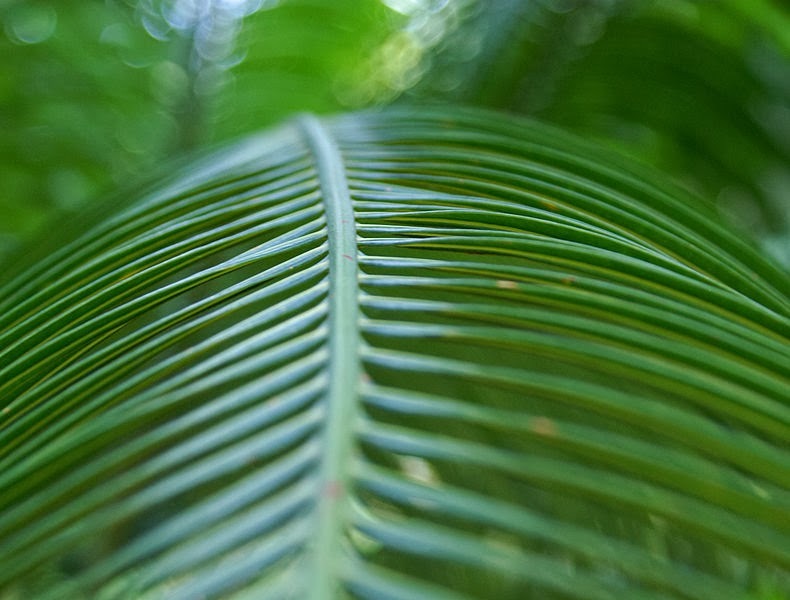 Palm Sunday comes but once a year. While many children's favorite holiday is Christmas, Easter is my daughter's favorite and has been for years. Now, you are probably thinking she likes it because of the Easter Bunny. In fact, it is Easter as a whole. She loves the new life spring brings along with the promise of knowing that all the things that were either dormant or appearing to be 'dead' through the winter, will once again become alive again. She associates this with the savior's death, burial, and his coming to life again! After all, isn't that what Easter is about? Our Savior dying for us and being ALIVE again!! When teaching your class on Palm Sunday and it's mark on the Savior's trip to the cross, be sure to stress that although it was a sad time, the best is yet to come!! Reassure your class that even though Jesus' ride into Jerusalem leads him to the cross, he doesn't stay there. He arose from the dead and lives forever in heaven. This is a great time to talk about how they can live forever in heaven with him if only they ask him to be their savior. While many young children won't fully understand, this will help plant a seed for their future. They will begin to ask questions and learn more about becoming a child of God. 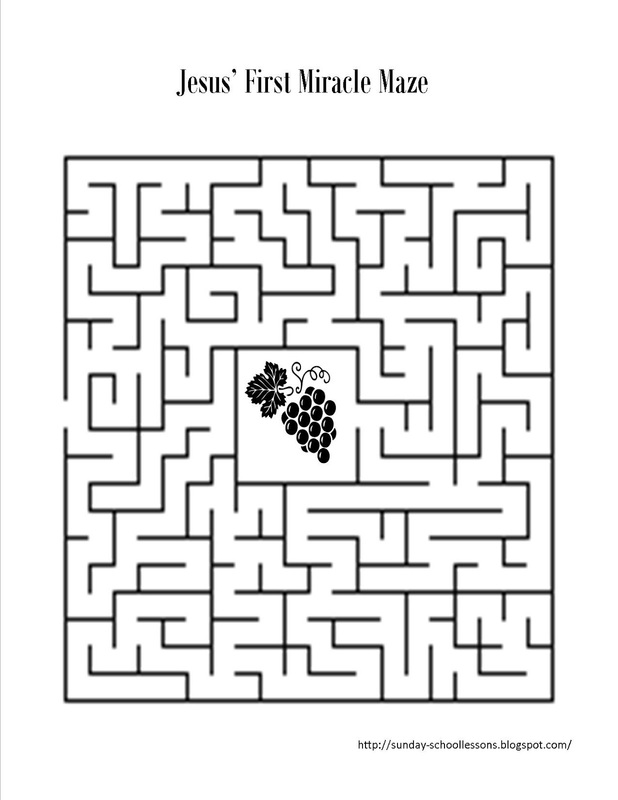 The first Palm Sunday maze is for older kids and the second one can be used for smaller children. standing in the middle of the maze. 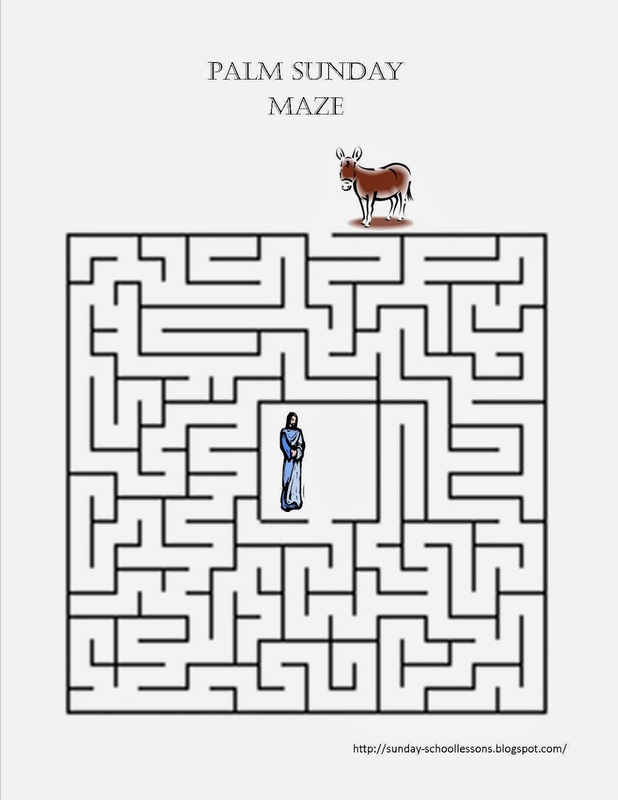 help Jesus get to the donkey whichever they prefer. Find more Easter Sunday school activities! 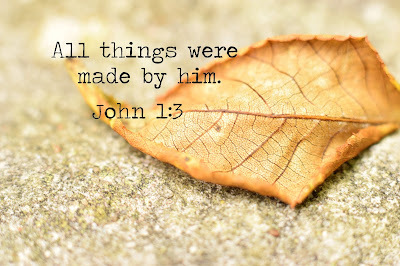 Jesus performed many miracles while here on earth. Some included healing the sick and the lame while others involved raising people from the dead and casting evil spirits out of others. All amazing in their own way. We, as Sunday school teachers, can not only learn a lot from these miracles, but we have the opportunity to teach kids about them too. 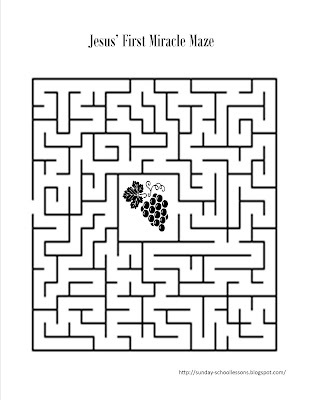 Below is a FREE Sunday school activity to use with Jesus' First Miracle Sunday school lesson or you can use it as a time filler for any Sunday school lesson you choose. 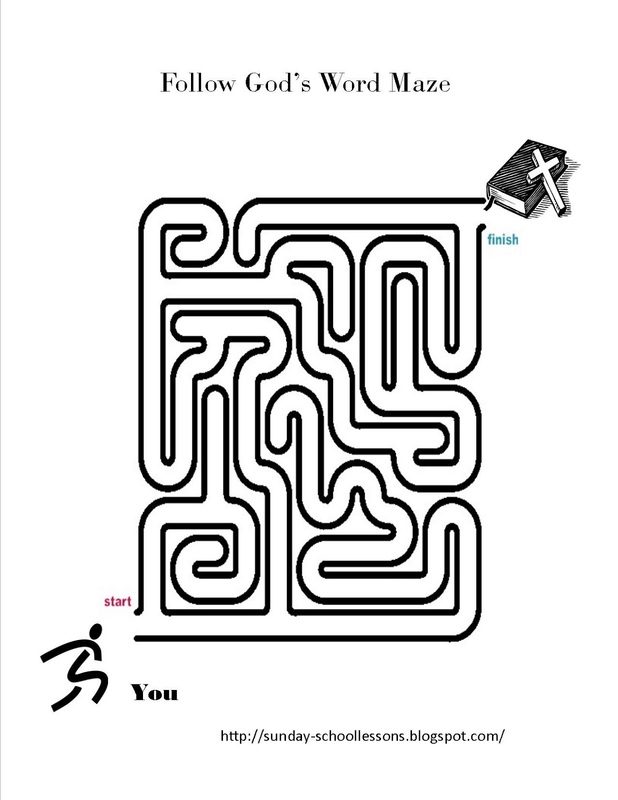 Here is a FREE maze to use as one of your Sunday school activities. 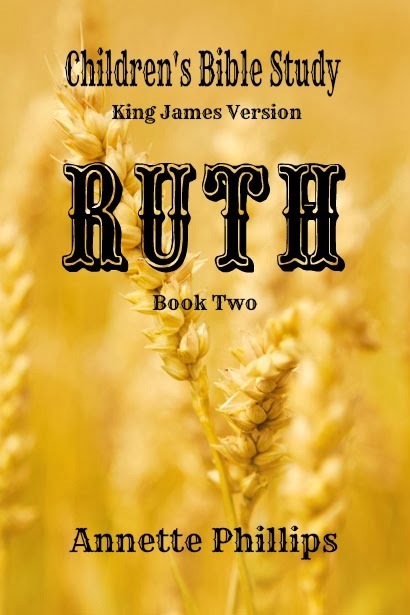 It was developed to go along with the Gideon in the bible Sunday school lesson, but you can use it with any lesson you see fit. 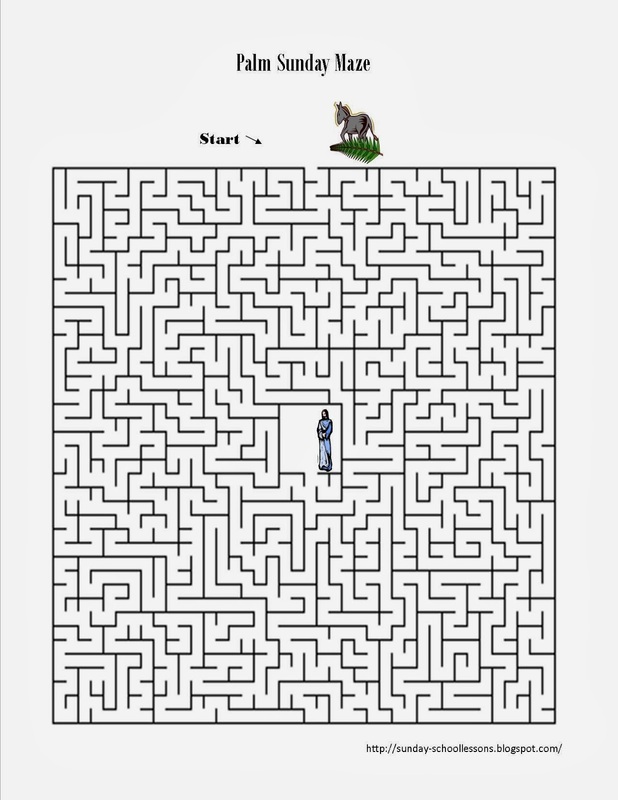 If you like this maze, be sure to add your e-mail to the right so we can send you updates when new activities, games and lessons are available. We will ONLY use your e-mail for this site and if you decide you no longer wish to receive updates, it is easy to unsubscribe. Although, we hope that never happens. 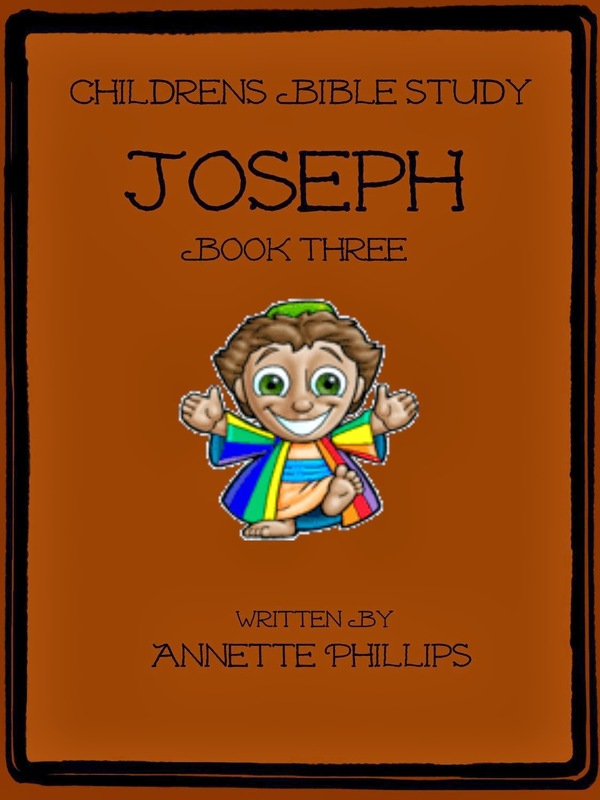 Click to find more Children's Bible Studies!! You are welcome to use any of the information on my blog as you wish as long as it is used for the glory of the Lord. I only ask that you link back to me if you use this information on other parts of the web. As you know, links help get sites noticed on the web and I'd like to share my information with as many people as possible. Thank you and may God bless you as you teach the Word of God.